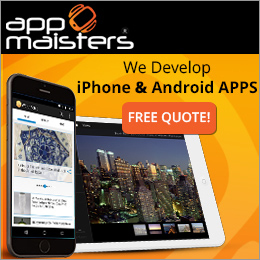 EstateSalesNews.com is pleased to welcome our newest advertiser “app maisters”. They created our iPhone app and can create an Android or iOS app for you. 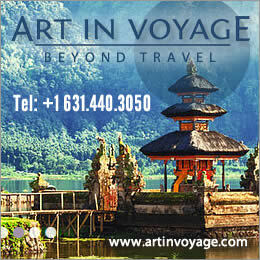 An opportunity to reach a larger audience. If you are an estate sale company you should also think about having a mobile friendly website – easily accessible from any type of smart phones. 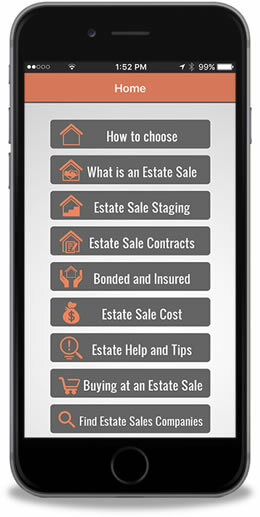 Analytics have shown that many estate sale attendees and even sellers use their smart phones to search for estate sales and estate sale companies. Mobile friendly websites are important today. Check with your webmaster or website designer to become mobile friendly. 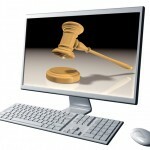 A customer will still be able to access your website in in it’s entirety on a desktop or laptop. App Maisters created our app and we wish them success. If you are thinking of having an app created simply click on their advertisement to go to their website for more information. Yesterday we attended a networking event with a variety of tech savy individuals and social media experts. In todays competitive world keeping current on apps, mobile friendly sites, and social media outreach is important for success. We would also like to thank Small Web Solutions who created our WordPress website and keeps us available to mobile or desktop users. Estate sale companies use many sources to find the information they need to price your contents, but it isn’t as simple as looking up a price on line or in a book. 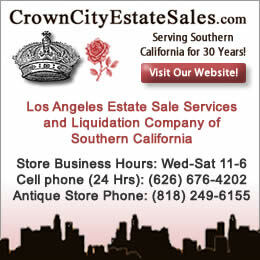 There are a wide variety of sources to assist estate sale companies when help is needed for pricing the rare, unique, antique, or unknown items. 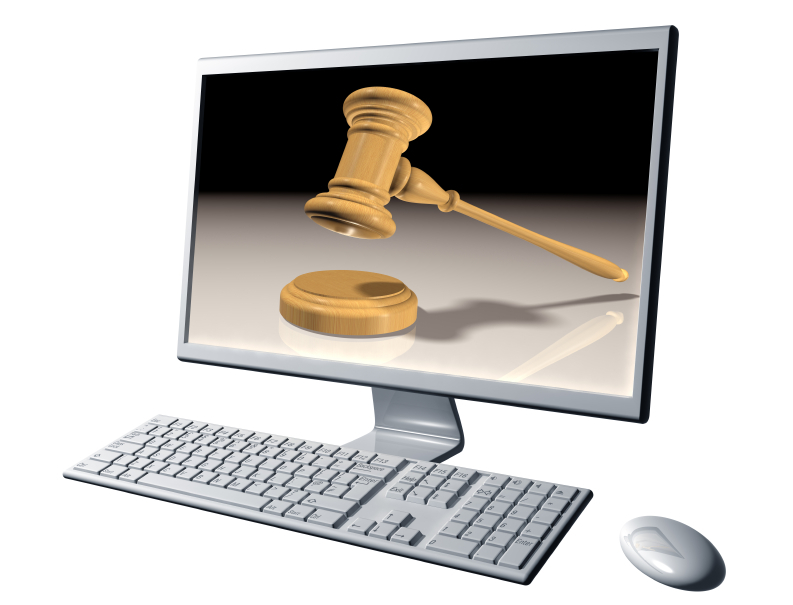 A knowledgeable professional estate liquidator can evaluate the information from these websites applying their years of working with and education through hands on experience to determine how this affects the value of your items. It can take hours of research to find comparables and make the necessary adjustments. Today we present the response from EstateFusion.com owned by Lisa Kroese who offers, coaching, education, and membership. What do you require for a company to do to become a liquidator? Estate Fusion is a private membership website for estate sale companies. We offer contract and branding materials, worksheets, and webinars for all of our members. Some packages include private one on one coaching. We work with companies just starting out and with those who are established but seeking better results or more competitive and solid contracts, business plans and lead generation. Since we work with start ups as well as established companies, we have no requirements for membership. Anyone seeking improvement can become a member and secure consulting and coaching on best practices and profitability. Do you allow a company to join your association or society without taking courses? We don’t have an association or society, yes, anyone can join EstateFusion.com. Estate Fusion’s owner, Lisa Kroese, also has a LinkedIn group for estate sellers: Estate Sale Professionals. Anyone with an estate sale business may ask to join that group as well. What type of background checks do you perform on a current estate sale company that joins your group? Do you or a staff member personally speak to past sellers? We do not preform background checks. Estate Fusion members are not listed on a public website, it is a private group with several different levels of membership available to members. Estate Fusion focuses on providing professional materials and articles at the basic level. At the upper levels it is focused on meeting each company’s individual growth, lead development and targeted business goals through coaching packages. Estate Sale Professionals is a news and discussion group, it does not aim to offer credentials or society status to its members. 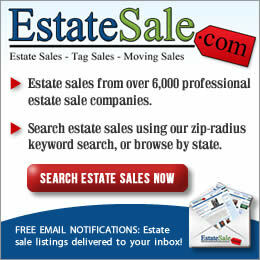 Its members may opt to use the Estate Sale Professionals logo on their LinkedIn profile or website. The public should know that the Estate Sale Professionals logo is just a designation indicating that members are part of a LinkedIn professional group, not that the members are screened privately or have taken coursework to earn use of the logo. 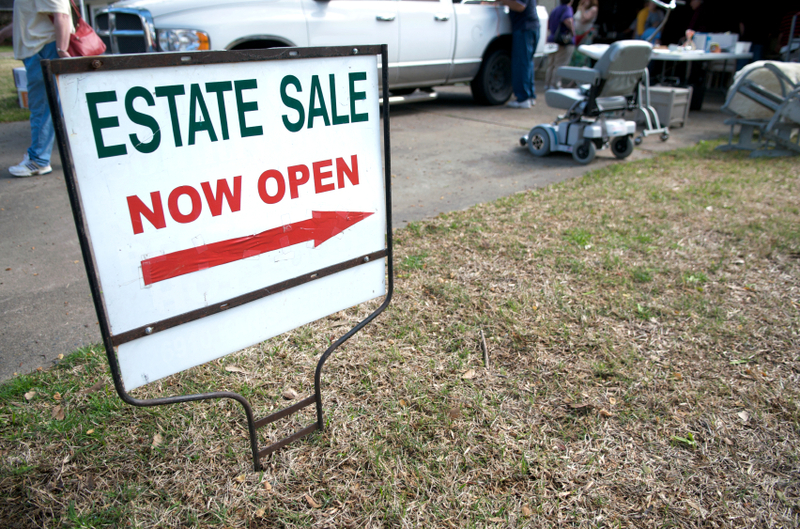 If a seller contacts you about an estate sale company that is associated with you what steps do you take? 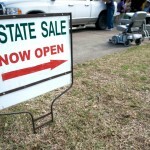 No seller has ever been in communication with us regarding any company on Estate Sale Professionals or Estate Fusion. In the event that one did, we would review their concerns with the company and seek legal review for steps that we might follow to address the concerns through mediation between the parties. What are you able to do with a company that is found unethical or allegedly committing illegally acts at an estate salle i.e. failure to pay or account etc. ? We would do anything possible to help get a response and attempt to facilitate resolution. On Estate Sale Professionals, members would be removed instantly if it were deemed appropriate. We have no legal authority to take any other action besides alter the member’s status and communicate with them about the seller’s complaint. We could help direct anyone that contacted us to the appropriate agencies, such as their state’s attorney general and consumer protection bureau. We would not be able to provide legal advice to the complainant but would recommend that they seek legal assistance. Do you charge for membership? We do “not” want to know the amount. 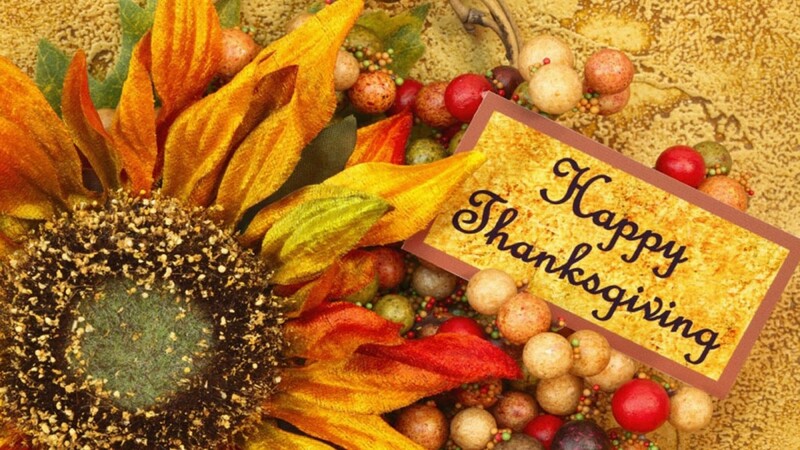 Here from Donna Davis, Director National Association Of Estate Liquidators, School and Association – NAOEL. The NAOEL is a new association launched in May 2015. • Payment of membership fee. Other than provide written proof of experience as provided in previous question, we do not perform a background check nor speak to past sellers. Applicants are required to provide seller recommendations. What are you able to do with a company that is found unethical or allegedly committing illegally acts at an estate sale i.e. failure to pay or account etc. ? Immediately revoke membership and follow up that our logo is no longer being used in association with this company. Today we feature the response from ASEL – The American Society of Estate Liquidators with owner and director Julie Hall. Ms. Hall started her program which includes online education and membership in 2000. They may take our comprehensive courses or if they already have estate sales experience they can apply for one of three levels of membership we offer. Yes, provided they meet certain criteria. We have comprehensive applications for each one of three levels of membership. What type of background checks do you perform on a current estate sale company that joins your group? Applications are reviewed and references are checked. Do you or a staff member personally speak to past sellers? Listen to the client and document, then contact the liquidator. 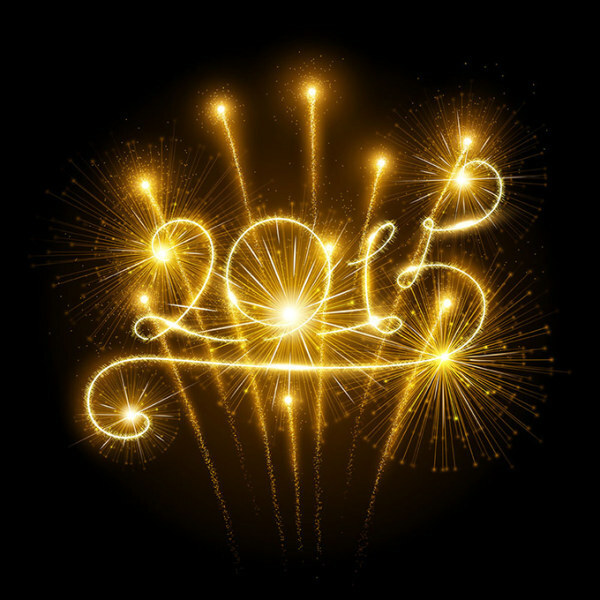 Listen to the liquidator and document, then recommend a mutually beneficial resolution. It is our policy to terminate the membership of any member that is found to have committed an unethical or illegal act in conjunction with a sale.